While Christmas is not recognized as a holiday in Japan, New Years is a huge deal. This culture shock will serve as a reminder that the whole world doesn’t stop on Christmas day; In Tokyo, all businesses are open on December 25! Visit the Imperial Palace and Gardens for a magical, wintery feel of Japan’s history. Not to mention: winter brings two special days here: December 23, the emperor’s birthday, and January 2, the New Year’s Greeting. A winter vacation to Tokyo just might mean meeting the Royal Family! In the cold winter of Tokyo, you’ll get to try traditional Japanese foods that are typically only served in winter, such as nabe. Take part in endless winter festivals, such as the Sapporo Snow Festival, Yonekawa Mizukaburi, and Kitami Yakiniku. There’s lots to do in this vibrant Asian city; a winter trip makes it even more authentic. 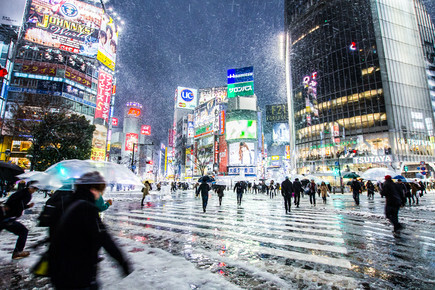 The cobblestone streets and electric skyscrapers are covered in powdery snow and sparkling flakes, as this magical city lives for winter. Fewer crowds and more activities just sounds like all the more reason to make this unique city your winter travel destination! 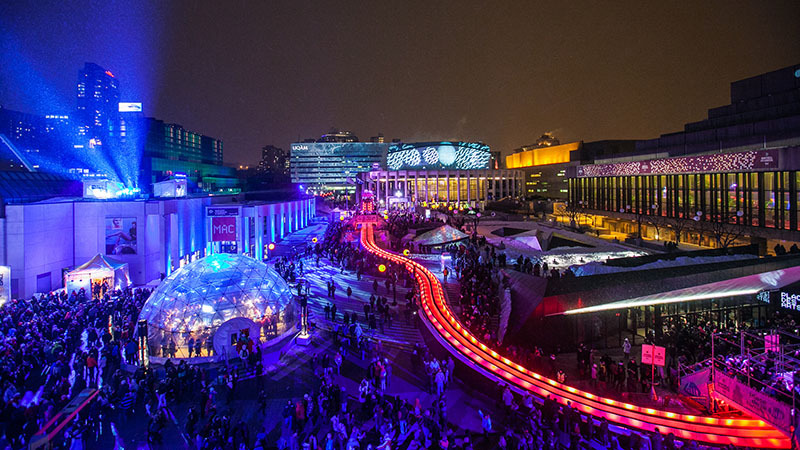 Partake in endless festivals such as the High Lights Festival, Canada’s most famous winter event. Celebrate the magic of winter for 11 days in one of the world’s most famous festivals. Within the city limits, you can ski, tube, ice skate, toboggan, snow shoe, and more. Get warm in a cafe with a world-class latte or step into Schwartz’s Deli for a famous sandwich where the line is significantly shorter than it is in the summer. Beat the crowds and do even more activities – a win-win. Yep – that’s a real-life reindeer. Seriously. 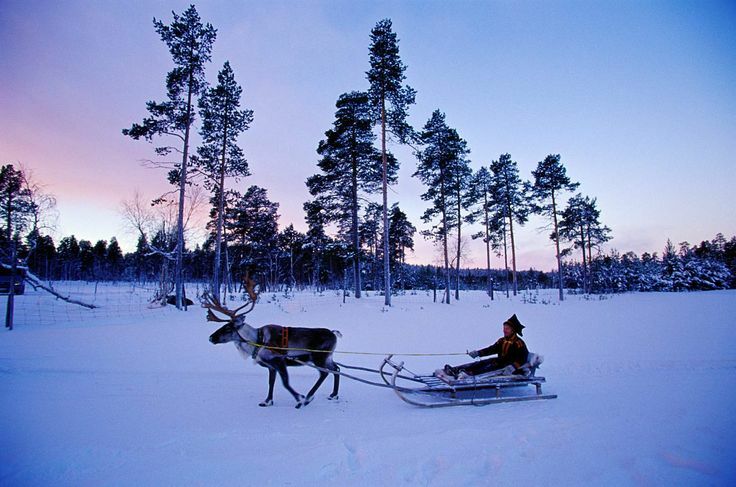 Did you know that the number of reindeer in Finland is equal to the number of people?! Take a reindeer sleigh ride around this winter wonderland. Magical. You can even see the Northern Lights about 200 nights out of the year. You can sleep in a LUXURY IGLOO and watch the sky above you. Does it get any more wintery than that?! Fewer crowds and better travel deals aren’t the only reasons to visit this charming Southern town in the wintertime. Ski resorts, gorgeous hikes, and the Fringe Arts Festival will give you the perfect winter trip without making the trek to the West Coast! 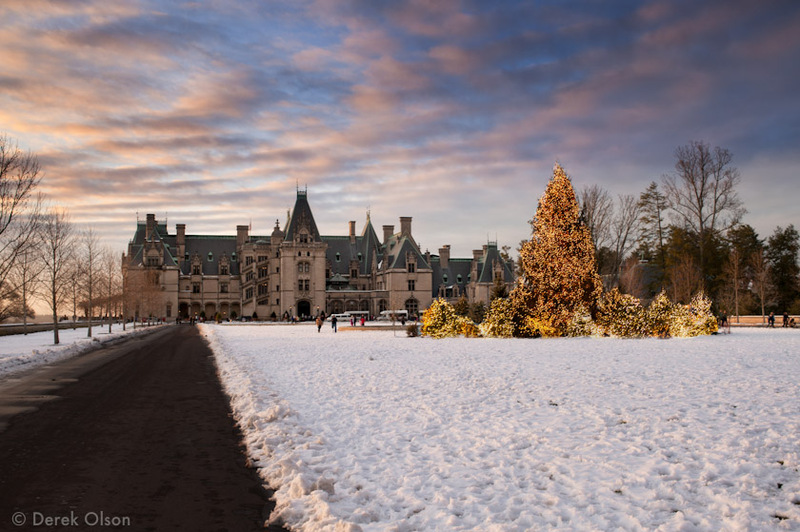 Not to mention – this is the cheapest time to visit the Biltmore Estate – and by far the most beautiful. We agree with you: the Eiffel Tower and Big Ben would be a dream to see in wintertime. But those iconic European destinations aren’t the only ones that are amazing in this snowy season! 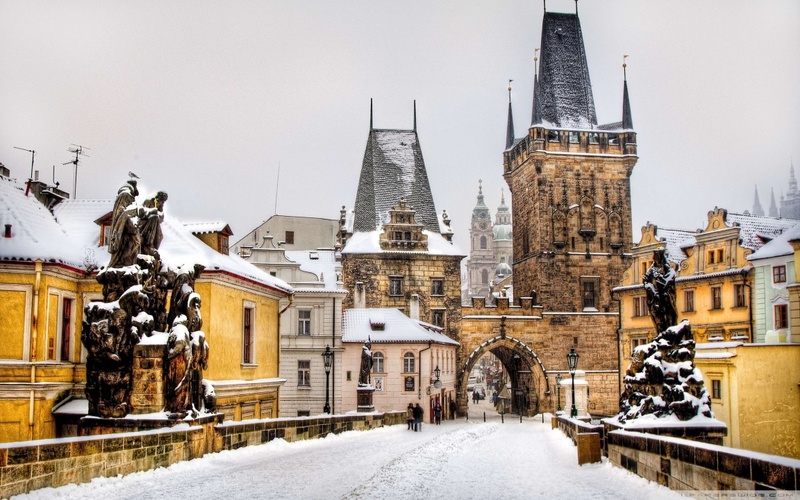 How gorgeous is the Charles Bridge and the Czech architecture covered in snow?! Stroll the cobblestone streets with a warm drink and admire the fairytale feeling, or step into one of Prague’s legendary ice pubs for a cold drink and a vibrant club scene! Folk craft markets take over this magical town in the winter to give you the most authentic trip to Prague you could possibly have. 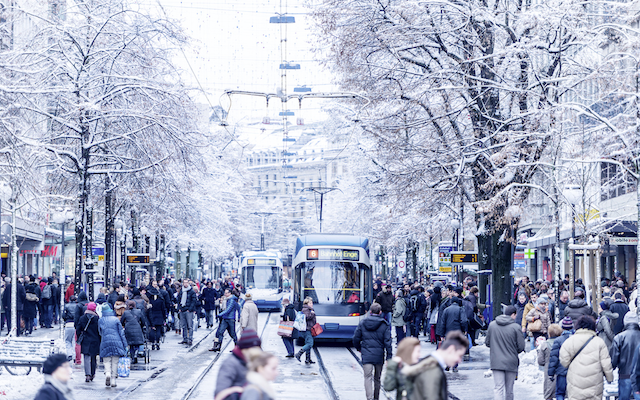 Don’t let Geneva take all the credit – the thriving city of Zurich gives you that hustle and bustle of a major city and the snow sports options of the mountains. There’s no better time than the cold months to indulge in Swiss fondue and a massage! With over 100 museums, Zurich has plenty of indoor activities for when you need a break from shredding the slopes in the bitter cold. An exciting nightlife and relaxing wellness options – you can’t go wrong in this Swiss city. Were you beach bums starting to get nervous that there wouldn’t be any recommended warm escapes from snowy, cold winter? Have no fear! 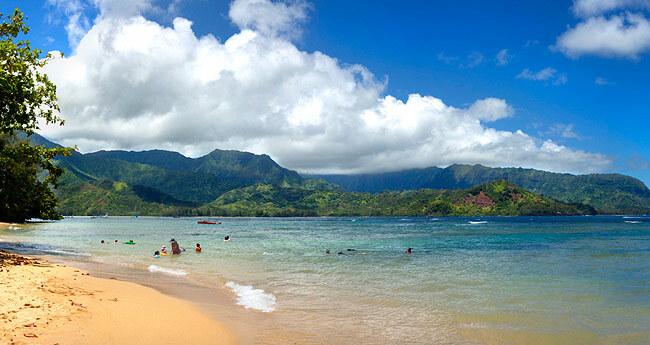 Endless travel magazines are recommending Kauai as one of the top winter travel destinations. This is the prime time for whale watching. You can sign up for a cruise and see humpback whales all over the island! It’s the perfect trip for those of you who are ready for a warm getaway and love animals! Temperatures range in the high 70s – so it’s not TOO hot, just warm enough! 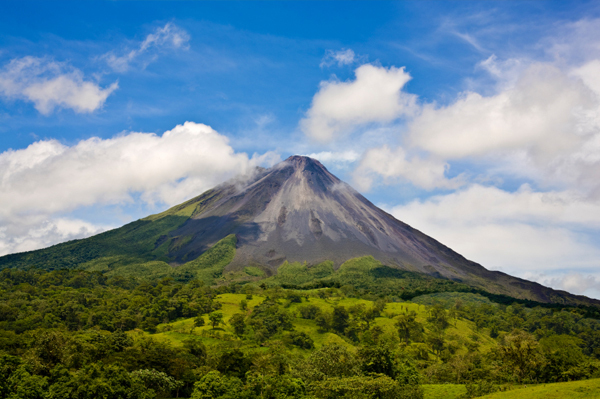 Another option for you warm weather people – Costa Rica has been rated one of the top winter travel destinations! Winter time in Costa Rica is very sunny and is the perfect time to explore the rainforests or take a break from our dark winter and lay out on the beach. Love animals? Want to learn to surf? This is also the best time to spot amazing wildlife and catch big waves. Perfect for the warm weather and adventure lover. Drumroll, please…our number one winter travel destination…Budapest! Budapest, known for its baths, is very cold in the winter. This is the perfect time to warm up and enjoy an iconic Hungarian activity all at once! Ice skate in the city center and indulge in a cute and cozy coffeehouse. Take a peek in all of the Christmas markets, pictured above, and then see a ballet or an opera. 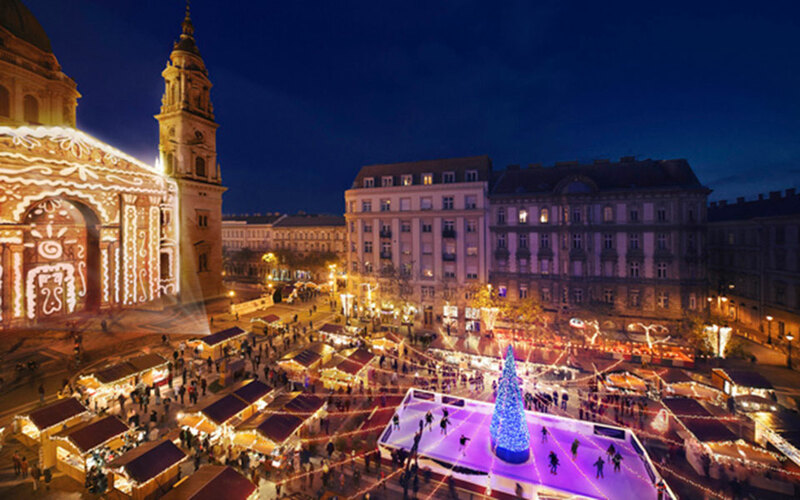 Try Hungarian wine, beer, and holiday feasts! The possibilities are never-ending in this incredible city. You will be truly walking in a winter wonderland. Where are you traveling this winter? We love to hear from our readers – we love to know! Have you been to any of these destinations in the winter? What did you love the most?